The “it” starring Hughes Brothers will serenade you and your special someone as they celebrate special Valentine’s day show in Branson this coming year with delicious dinner before the show complete with candlelight, flowers, and great music. This is going to be a memorable evening complete with an especially fun renewal of vows for couples and a free memory portrait. During dinner, you’ll even enjoy more with a classic romance movie. This is the “world’s largest performing family” show which features a cast of more than 45 entertainers, musicians, singers, and dancers in an all-new variety show presented by the Hughes Brothers known simply as ... “It”! With the combination of astonishing scope of talents of amazing singers, dancers, and musicians, the “it” show creates Branson’s Ultimate Entertainment Experience. The “it” features an award-winning cast, including the Hughes Brothers and their families, backed up by over-the-top production numbers and brilliant lighting. The “it” delivers everything you want to see a unique show in Branson...and more. From Broadway to country to comedy to patriotic numbers to gospel to rock-n-roll, this show is so fantastic. From January through October, you’ll see it, hear it, feel it ... and love it. If you really want to enjoy it; you’ve got to see it. These professional musicians has been performing in various venues and theatres around the world for nearly three decades. The group has begun as a small family band with the brothers and they have grown to become the world’s largest family production, with dozens of family in the cast and becoming more and more with some additions each year. Half of their time that they have been putting on shows, they’ve made Branson their home and celebrate more than a decade of performing this fascinating show in this popular tourist destination. 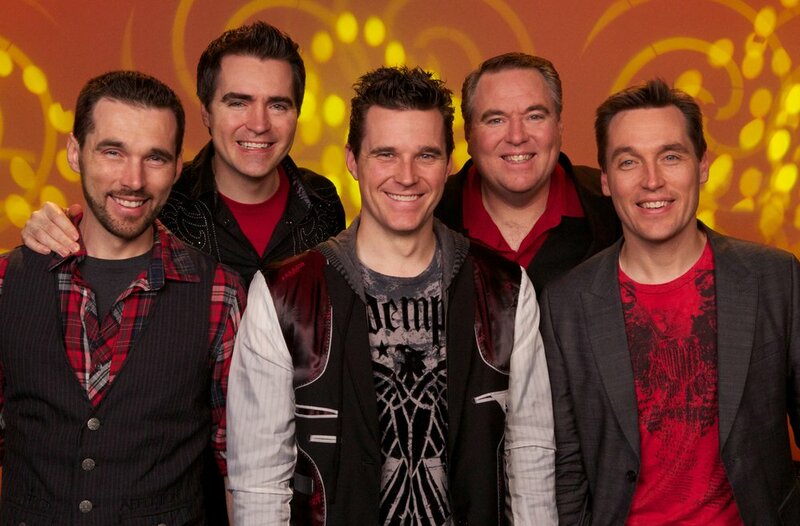 The main feature of the “it” show is the brothers’ amazing harmonies and vocal talents. The Hughes Brothers are joined by some of the area’s top show performers to make a production show that is as diverse and creative as it is enjoyable. As they share their incredible talents with audiences from around the world, the Hughes Brothers and their cast will provide you a very entertaining two-hour show filled with some of the best live entertainment to be seen anywhere. Be prepared to be serenaded with the boys’ beautiful voices, be amused as their wives sing and dance around the stage, and applaud when the children of the family take the stage, and be inspired with the skilful playing of the instruments by a live band. In this show, you will hear music selections that range from country and gospel to rock ‘n roll to Broadway. The beautiful costumes that perfectly adorn the performers are a sight to enjoy along with the cast making more than 150 changes throughout the show. So, if you are looking for a Valentine’s day show in Branson, don’t miss to see the “It” show starring the Hughes Brothers. You’re sure to appreciate it as you see it, and hear it.